The Catastrophe put humanity on the brink of extinction. Two generations later, only a few space stations are habitable and those are still mostly in ruins. Despite the rebirth of the economy, the governments have struggled to keep up. To deal with this, Syndicates where born. These are public-private partnerships where Syndicates are given a license to a building in the ruins to restore and claim as their own. As long as you’re experienced enough, and reputable enough–and can afford it–you’ll be granted a syndicate license. To foster innovation, very few restrictions have been placed on syndicates; they can build themselves up as they wish. Syndicate are allowed to claim an area of the ruins if they rebuild it. However, most of humanity is still living like rats and no one is in a position to rebuild anything. Therefore, if you have extra stuff to store the only solution for you as a syndicate to store your belongings is either to have a syndicate member who opens a standard storage and puts all of your goods there–but who can we trust?–or find a safe place in the ruins to store your future goods. As you know, we are always developing new features, and a lot of effort is being put on syndicates with a very important feature coming by October: Syndicate Campaigns. Syndicate campaigns will allow you to fight together against waves of opponents. Each wave will have a different level of skills. If one of you ends up in the sickbay, another member of the syndicate can pick up the fight against the NPC and hopefully win. 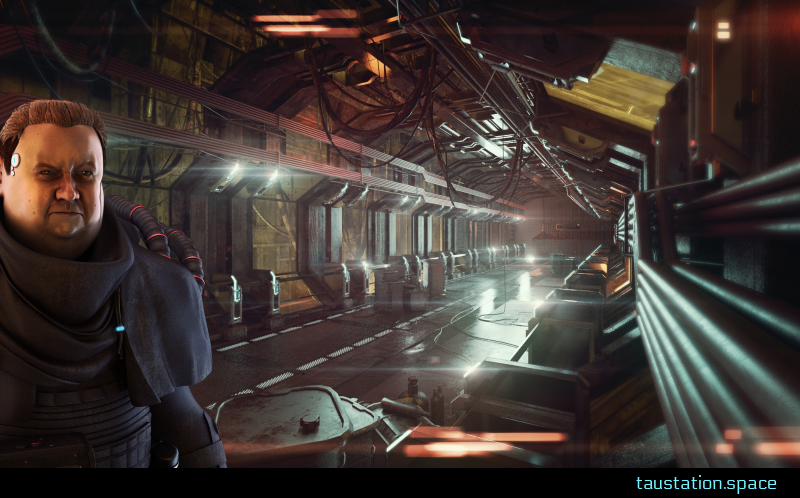 Once you have won against all of your opponents, the syndicate will receive some rewards (items, credits, bonds) accordingly to the level of the campaign. Rewards are only given on completion of the campaign. Credit and bonds are paid inside the syndicate bank account. What about the items given as rewards? That’s where the insecure storage starts making sense. You are going to fight against multiple NPCs and your syndicate will gain loot at the end of every wave. Special items will be won for successfully completing the campaign. However, the campaign doesn’t know who gets the items. Therefore, you need a place where to store and manage them and give them to other citizens. For now, the storage is fully secure as we have not given you the ability to build your buildings yet. However, as soon as you will have the possibility to create a secure storage facility, it will be time to make the current syndicate’s storage less secure. Life is hard, but reality always win and we will have no choice than open the ability to loot them. But wait! What you are saying is they are useful but will be less useful over time. What’s the point to increase their size? That’s all up to syndicate management and gameplay. If you can get all your members together often enough for having regular Syndicate Campaigns you might end up with a fair number of items. Also, as mentioned before, you will have the ability later to build your own building, for being able to do so, you might have to store a lot of items to help you with the construction. A big storage might be right what you need to keep things moving. We want to give you that option, not decide for you. And since we’re here, let’s talk about the future. Syndicates are the most complicated system we’ve put in the Tau Station universe. While we have plans for much, much more, syndicates will remain one of the core social aspects of the universe. However, many citizens have asked for more information about where syndicates are going, so we’d like to take some time to lay out our plans for you. Many have asked about the “insecure storage” option now available. To explain that, we need to talk about buildings. Currently, we have “syndicate buildings” being developed. Syndicates will be able to acquire special single use “blueprints” which allow them to construct buildings, assuming they meet the requirements of that building. You can construct buildings on your home station, or build a branch office on another station (also having “insecure storage”) and construct buildings there. One building, for example, is a private sickbay. Bordeaux Station in the Alpha Centauri system does not have a sickbay and if you die there, you’ll fall back to your clone. Building a private Sick Bay on Bordeaux Station means that your syndicate members (and only your syndicate members), will awake in your Sick Bay instead of dying (but we’re also working on suicide pills for those who wish to force death and fall back to a clone). To construct these buildings, you’ll need to acquire many raw materials, construction matrices, mesh uplinks, and so on. These can be stored in your insecure storage. And that’s where the trouble starts. Buildings will consume some amount of power, water, and mesh (the interstellar mesh network used for data sharing). These utility costs will be automatically deducted from syndicate funds on a regular basis. Failure to pay those utilities will result in some buildings being disabled. 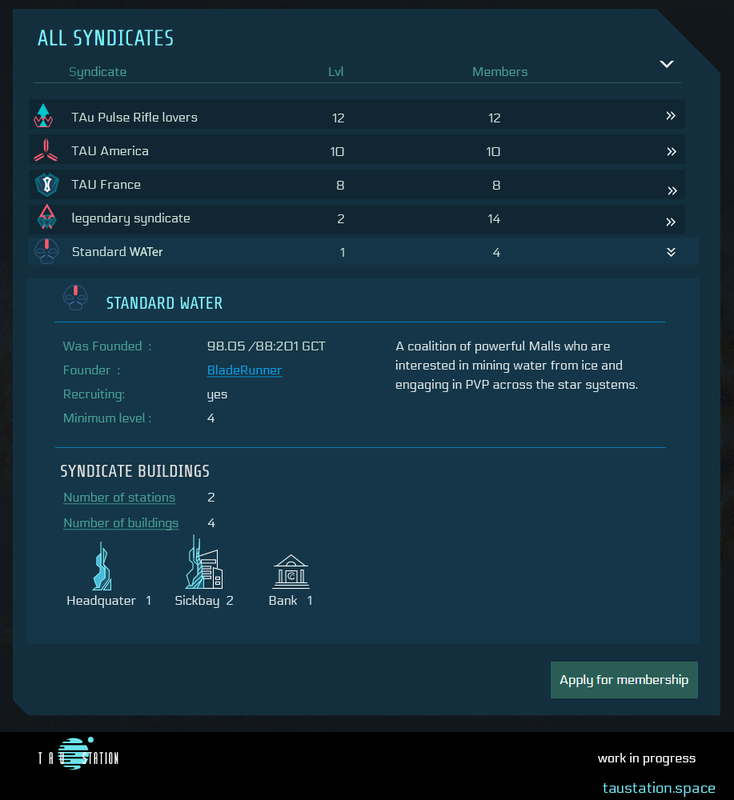 An early UI design of the syndicate list and detail view of an alliance, already with syndicate icons and showcasing some buildings “Standard Water” has. Note: insecure storage will remain secure until such time that syndicate raids are released. Syndicate buildings will be released before syndicate raids. The Tau Station universe is one of privation. Acquiring many of these goods involves long hours of scavenging in the Ruins, trying to find something suitable, or spending credits on the Public Market hoping the items become available. Or you can just raid another syndicate’s insecure storage. Syndicates may want to post guards to protect their storage, but this, of course, exposes them to considerable risk. Thus, the first thing a syndicate will want to do is acquire the supplies to build their first “secure storage” building. The insecure storage building will have just enough space to hold those supplies (though it can be upgraded). If a branch office is opened on another station, it will also have insecure storage and the process of building a local secure storage facility will begin again. Of course, since resource constraints are significant, a syndicate might also choose to raid another syndicate to divert water, power, or mesh for their own use, thus lowering their syndicate costs. If the target syndicate doesn’t notice their bills have increased, they may not even realize they’ve been raided. Upset that another syndicate has raided you? Have a grudge against another syndicate’s members? Or just want to cause mayhem? Declare war on another syndicate. Wars, of course, are frowned upon, so be careful! Syndicate raids and wars are PvP (player-versus-player), but the syndicate campaigns we already discussed are PvE (player-versus-environment). Successfully completing a campaign before the deadline will allow special items to be deposited in your storage (secure storage, if you have it), including advanced weapons and armor that can’t be acquired any other way. You might even get blueprints! 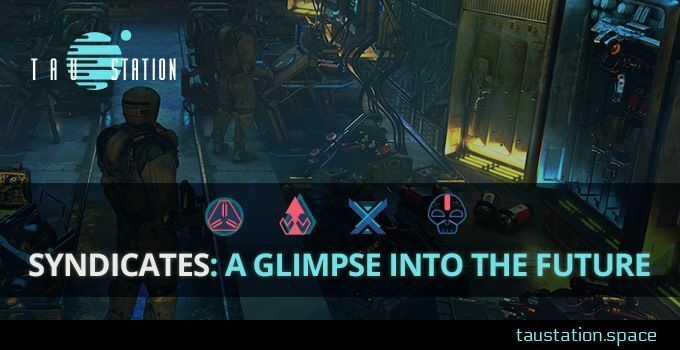 There is more planned for syndicates, but the above outlines the core gameplay. We have many of the pieces in place or under heavy development, but they take time to playtest and verify that they work as intended. We’re sure you’re going to enjoy them!